Industrial cleaning, commercial office cleaning, business building contract cleaners in Essex, London, Surrey, UK - BCS Services Ltd.
Building Cleaning Services is a privately owned company, based in Essex, UK. Established in 1971, our industrial cleaning contractors provide a comprehensive range of daily, weekly and specialist commercial office cleaning support services to a wide variety of commerce and industry across the south of the UK. Our commercial office cleaning services extend to Central London, Essex, Suffolk, and Kent. Building Cleaning Services specifically provides a personal commercial office cleaning service to clients to the highest standards, ensuring customer satisfaction at all times. 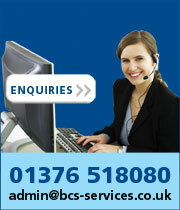 A member of BCS management team is always available to manage your contract. As contractors, we offer a wide spectrum of commercial cleaning and support services designed to make the running of your building efficient and effortless. Our employees are the most important asset. The above list, whilst not exhaustive, illustrates our core cleaning services. Please contact us to discuss your own specific service requirements from our industrial cleaning contractors. Copyright © 2016 BCS Services Ltd UK - Commercial Office and Factory Cleaning Services in London, Essex, Kent and Suffolk.